The 9x18mm Makarov is a Russian round designed in 1946 to be used in the Makarov PM pistol. It was created as a replacement for the classic Nagant M1895 revolver. 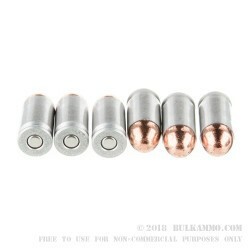 These rounds are equipped with a 95-grain full metal jacket projectile, in a noncorrosive, Berdan primed aluminum case and are not reloadable. 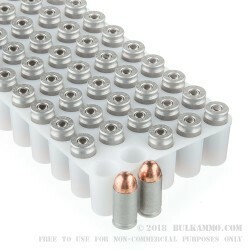 These Blazer cartridges use Speer bullets and CCI primers and are a quality round for practice at the range or plinking. Made with aircraft grade aluminum, these rounds are an economical alternative to standard practice ammunition and are made in a wide variety of calibers. This allows you to shoot more often for less, while still using a reliable and accurate ammunition! 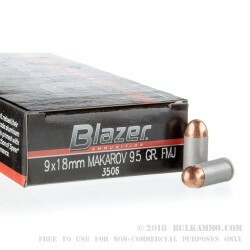 Each box contains 50 rounds of 9x18 Makarov 95-grain FMJ from Blazer. 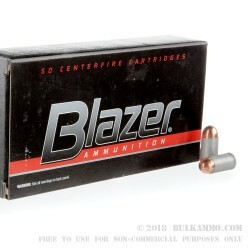 Blazer, part of the Vista Outdoors Group, is a reliable manufacturer of target ammunition and is a favorite among high volume shooters everywhere.